A big thank you to CageWerx, the new indoor baseball/softball training facility located in Fairfield, for hosting both tryouts due to wet field conditions. Team and player photos are in!!! 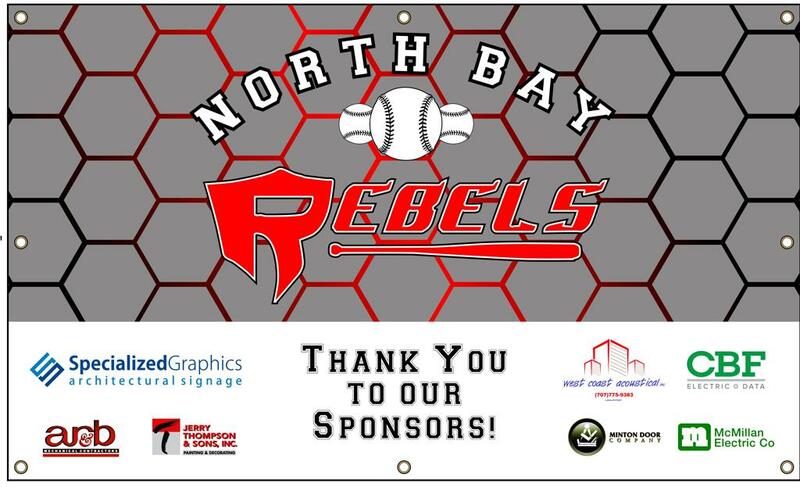 Meet your 2018 12u/13u Rebels. Thank you to Brian Vicari for photography and Arc4Studio for the creation of the photos. The Rebels 13u team ended their year with a bang, winning their last two tournaments. On August 25-26, 2018, the 13u boys competed in the All World "Line Drives" Tournament in Petaluma, and went 5-0 for the weekend and won the championship, beating Hand Picked Baseball 9-5 in the championship game. On September 8-9, 2018, the 13u team headed back up to Petaluma and played in the All World "Slug Fest" Tournament and went 4-0 and won the championship, beating Athletic Edge (Navy) 11-3 in the championship game. The Rebels 12u team came off a 3 week break after their Cooperstown trip to play in their last tournament as a 12u team on July 29-29, 2018. They played in the All World "End of Season Finale" tournament at Mission College in Santa Clara. On Saturday, they played two games in pool play. In the first game, they beat the Aldrete Baseball 17-0. In their second pool play game, they lost to the Oakland Wolves 6-0. The 1-1 record earned them a #3 seed going into bracket play on Sunday. Sunday, the Rebels beat #6 seed The Show 9-2 in the quarterfinal game. They then moved on to play #2 seed All American Baseball in the semi final game and ended up winning 13-10. The face the South Bay Royals in the championship game and just couldn't get their bat together and ended up losing 8-0 in the championship game. Great 1st tournament back for the Rebels boys, following their 3 week summer break after Cooperstown. The Rebls 13u boys have started their off season workouts this month an the boys are working on core and strength training at Dan Foley Park couple nights a week. it's been great for them to strengthen their bodies as well as hang out with their teammates! !